Thank you for holding your Big Pink party this Breast Cancer Awareness Month! 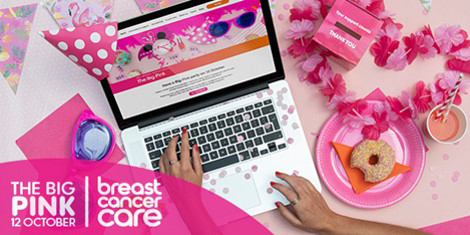 Your donations will help us support more people affected by breast cancer. Pay in your fundraising today. Without your fantastic fundraising we couldn't provide the vital care and support that so many women with breast cancer need. It’s so important to wear pink on 18 October because it’s one day a year where we can show our support for all those families and individuals who have been or are currently affected by breast cancer. Days like wear it pink keep the importance of research and support at the forefront of our minds.